Although the rain is much needed to fill the lakes and hydrate the soil before summer’s dry season rolls in, it isn’t always great around the house. Proper maintenance and drainage are often all that is needed to keep your house from suffering soggy consequences that spring showers can cause. Take a close look to make sure that everything is lined up and sealing properly. If there is an issue, make repairs or replace the item right way to avoid unwanted water coming in during our short rainy season. 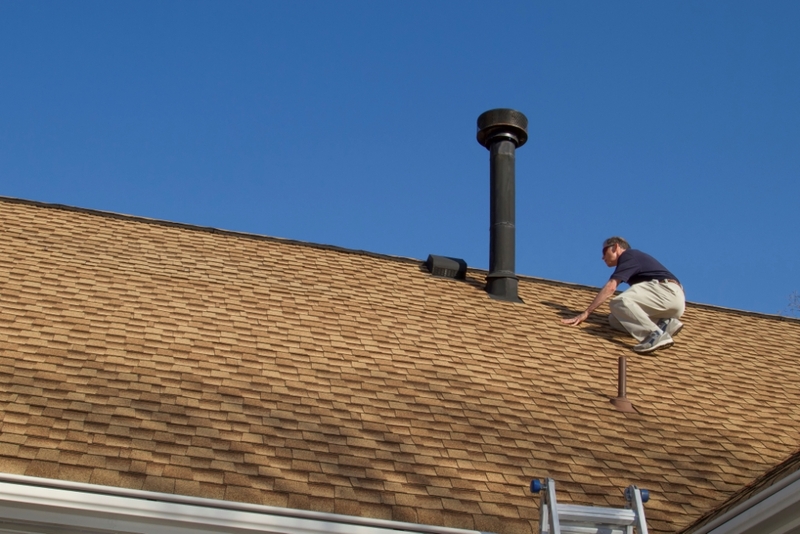 It is recommended to have your roof inspected twice a year, but you can look for signs of wear as well. Keep an eye out for anything loose or missing that needs to be replaced, as well as cracks along the ridge and holes or rust on any visible sheet metal. Inside your home look around for any signs of roof damage such as water rings or discoloration, these are often signs of roof damage that needs to be addressed to avoid costly repairs, or worse indoor flooding. Gutters redirect rain water to prevent damage to your home’s foundation, siding and more. They should be cleaned at least once a year, twice if your yard low hanging trees, to prevent clogging that keeps gutters from doing their job when rain hits. 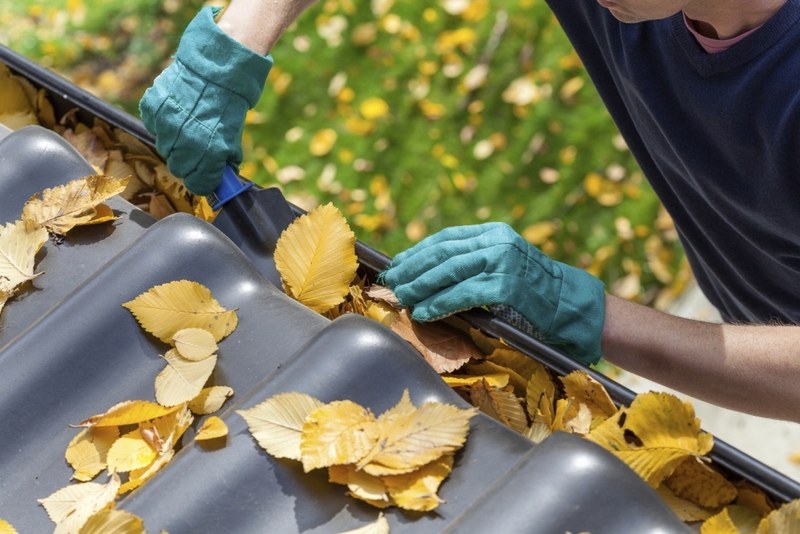 If you decide to tackle cleaning the gutters yourself make sure to wear protective gloves. Start at the downspout to give any standing water a way out, then work your way along the gutters removing any debris and remember to check for clogs in any elbows. If you have a retaining wall or drainage issues on the surface of your property a french drain is probably the solution to your problem. French drains are relatively low maintenance, but it is recommended that they are cleaned once a year to prevent clogs that may cause water to back up resulting in costly repairs. To clean a french drain yourself find the beginning and start by running water from a hose into the drain to see if the water runs through freely. If the water from the hose backs up you know that you have a clog in the drain. Next use a pressure washer to clean out the drain. If you experience a clog that the pressure washer alone cannot dislodge you may need to have a sewer snake used to ensure the drain is clear. Keep brush and dead branches cleared from your yard. These things can cause gutters and drains to clog when you need them working most, not to mention damage to your home if broken down during a storm. Crushed granite can do more for your yard than add ascetic interest. Due to the fact that it is not a solid surface, using decomposed granite in your landscaping allows for drainage that helps prevent standing water. This cuts back on puddling and mud that can make a mess inside as well as out.